I had the opportunity to chat with Maria Kwong, the Japanese American National Museum’s director of retail enterprises, to get an update on an item exclusive to the museum’s gift shop: the DVD of the 1976 telefilm “Farewell to Manzanar,” the adaptation of the 1973 book by Jeanne Wakatsuki Houston and her late husband, James Houston. It was an enlightening chat, and Kwong, as always, was very gracious and generous with her time. I learned, for example, that the recent four-day Hello Kitty Con at the JANM-adjacent Museum of Contemporary Art’s Geffen Contemporary, which had a JANM tie-in, drew about 7,000 visitors per day. Since each ticket also allowed access to the museum those four days (during which regular admission was suspended except for Hello Kitty Con attenders), about half of that figure, according to Kwong, came to the museum each day to visit the museum’s own Hello Kitty exhibition (which will run through April 26) and the gift shop. That means about 3,500 people came to JANM each day, making it by far JANM’s most-successful event. Ever. Those visitors also streamed through the museum’s permanent gift shop, where they bought Hello Kitty merchandise as well as the books, DVDs and other items. Some may say such events (not to mention JANM’s recent, sold-out “Karate Kid” retrospective) are frivolous and outside the realm of the museum’s mission. I’d have to disagree. For example, Kwong told me she was surprised that many visitors to the museum who were there just for Hello Kitty saw the other exhibitions and said that “people learned things,” they told her they had no idea about what happened to Japanese Americans during WWII. “It’s funny, with this Hello Kitty exhibition, everybody exits through our permanent installation, Common Ground, and we are reaching so many people … who never knew,” she said. “Even now, there are so many people who don’t know about it. They don’t know that history. And they’re Americans!” Kwong said. “I’ve spoken with customers [of the museum’s gift shop]who say, ‘I came to see Hello Kitty but that was a really moving exhibition, and I only knew a little bit about it.’ ” She added that it was planned that way. To me, it’s both surprising and not so surprising. Not only is there still so much benign ignorance, there is also much misinformation about the Nikkei experience during WWII. Yes, we who read this paper presumably know of it. But, evidently, the job of getting the story of the Japanese American WWII experience out to the masses so that it’s as well known as the history of slavery or the Holocaust has a long way to go. If it takes Hello Kitty to help get that story out, consider it the spoonful of sugar that helps the medicine go down. Which brings us back to “Farewell to Manzanar.” So that I don’t use too much space recapitulating the backstory of “FTM” on DVD, I’m going to list three hyperlinks to past columns for more background to this saga: http://tinyurl.com/c5kn83s, http://tinyurl.com/ngag25z and http://tinyurl.com/b47lhbc. However, to summarize, the “Farewell to Manzanar” telefilm was, for decades, completely unavailable commercially for the home video market since it was shown on NBC in the 1970s. The reason for its commercial unavailability was a mystery. Until Kwong solved the mystery, “FTM’s” absence from the home video market was odd and quite vexing, especially when big media companies with huge libraries of content would put nearly anything in the vaults onto videocassette and later, DVD, as an added income stream. 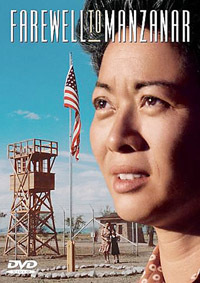 “FTM” was and is a rare foray by Hollywood to dramatize the mass abrogation of constitutional and civil rights, vis-à-vis the incarceration of American citizens and legal permanent residents (who were at the time precluded from becoming naturalized U.S. citizens), but no one seemed to know why “Farewell to Manzanar” was an exception to the usual modus operandi of studios releasing anything and everything in the vaults. After Kwong solved the mystery of why “FTM” was unavailable, its rights holder — the parent company of Universal Studios Home Entertainment — made a special, five-year renewable arrangement that gave JANM license to be the exclusive source of the movie on DVD. We are now four years into that arrangement, but after an initial spike upon release, sales of the “FTM” DVD, while steady, have topped out at around 4,000 units, according to Kwong. To pay off the music licensing fee from sales of the DVD that made it available after being unavailable for so long, another 12,000 copies need to be sold before the exclusive license expires. Realistically, however, I don’t expect Christmas sales to significantly help “FTM” sales reach the 16,000 mark. It needs much, much more. What is needed is the support of Japanese American historical societies, vets groups, churches and temples, judo and karate clubs, community centers, civic and professional organizations, and, of course, the Japanese American Citizens League, which for my money is the only viable community organization with a national infrastructure that might be able to make it happen and then some. “Farewell to Manzanar” the book is probably in most libraries. But how many copies of “Farewell to Manzanar” the DVD are in public high schools nationwide? 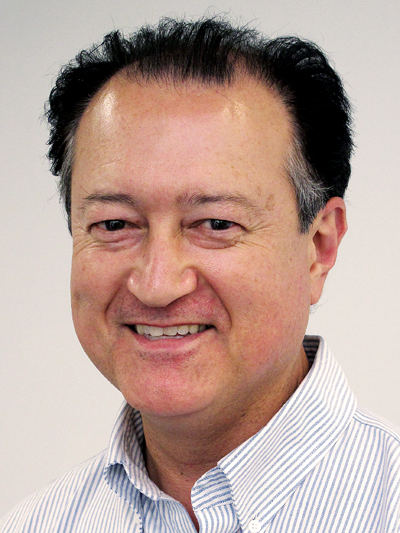 Universities and community colleges? Public libraries? If just 4,000 copies of this item that is exclusive to JANM have been sold since 2011, it’s safe to say not too many. “Farewell to Manzanar” the DVD should be in every high school library, every college and university library, and every public library in the United States. There is nothing quite like it. As a visual adjunct to the book, it would be a home run, a knockout, a royal flush that would put the story of the Nikkei experience during WWII into the mainstream consciousness, where it deserves to be. Not only that, I know there exist curricula that could go with it, and history and social studies teachers who would teach it if it were made available to them. There are also Japanese Americans across the country who could speak in person about their family experiences, even if it’s no longer first-hand. But don’t wait for this to be something top-down and national. If you read this and agree with it, bring it up with your own local JACL chapter or district, church group or club. Find out how many copies would be needed to blanket your town or county’s public schools, universities and public libraries. And, the great thing is, according to Kwong, if purchased in bulk, the DVD is available at a 40 percent discount. I don’t know what the minimum bulk purchase is — that’s a question for Maria — but a group could conceivably purchase it in bulk, offer it to its members at cost, donate a set amount to local libraries and educational institutions, and then sell the rest at full retail price as a fundraiser. Via a simple Google search (which means this could be totally bogus — but I think not), I found the following numbers: there are 19,400 public high schools in the 50 states and the District of Columbia, 6,900 accredited institutions of higher education and, as of 2010, 8,951 public libraries in the 50 states and D.C., and 17,078 public library branches and bookmobiles. OK, that’s a lot of DVDs. Rounded off to 50,000, if we multiply that times $15 (the retail price minus 40%), it’d cost about $750,000 to get the “Farewell to Manzanar” DVD to every high school, university and public library in America. Wow. Add in distribution costs (and sales tax), let’s just round it off to $1 million. Under this scenario, it would allow JANM to pay for the music license and make it some money, maybe allow some community groups to use it as a fundraiser but most importantly, get the story of the Japanese American WWII experience out to the greater community.